Ironman Wisconsin is a race athletes all over come to, it has extraordinary crowd and legendary spectator support. Athletes will start off swimming one loop in the deep waters of Lake Monona. Then athletes transition into biking two tough 40 mile loops in the rural landscapes in Dane Country. This course has many challenging climbs and turns. 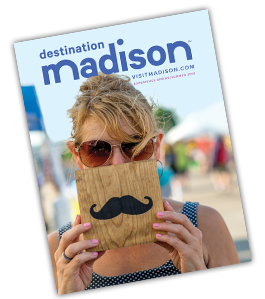 Finally athletes will finish strong running two loops through the historical downtown Madison sightseeing the beautiful landscapes Madison offers.